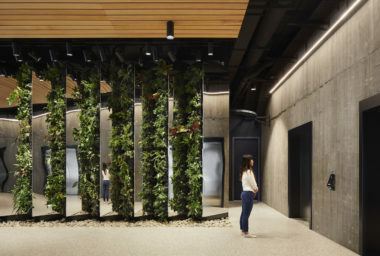 The doors of what’s believed to be Australia’s tallest engineered timber office building in Brisbane’s Fortitude Valley are now officially open. The nine-storey (plus ground floor), 45-metre-high timber commercial tower at 25 King Street is now ready for tenants to move in, including anchor tenant Aurecon. The global engineering firm will occupy 43.5 per cent, or around 6510 square metres of the 14,965 sq m of total net lettable area. Tenants for the remaining space are still being secured. 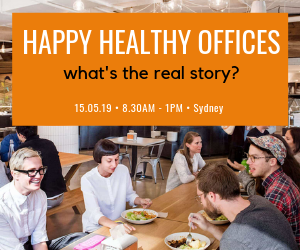 Designed and manufactured by Lendlease and sold to Impact Investment Group (IIG), the building is targeting a 6 Star Green Star rating, a 5 Star NABERS Energy rating and a WELL Core & Shell rating. This will complement the Brisbane Showground precinct’s 6 Star Green Star – Communities rating. The Bates Smart-designed building is constructed with cross-laminated timber (CLT) floors and walls, and glulam structural beams and columns – materials that are widely considered to be more sustainable than some traditional building materials, such as concrete and steel. 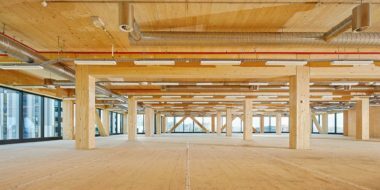 The key sustainability benefit to using timber is that it sequestered carbon dioxide from the atmosphere as the timber grows and even after it has been put in the building. 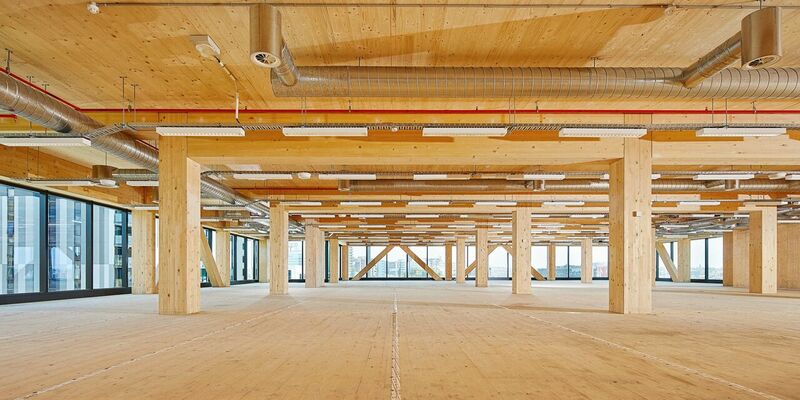 Around 3400 of the “exceptionally fast-growing” Spruce Pine Trees were used in the building, with 33 timber columns and 552 beams used on each floor. 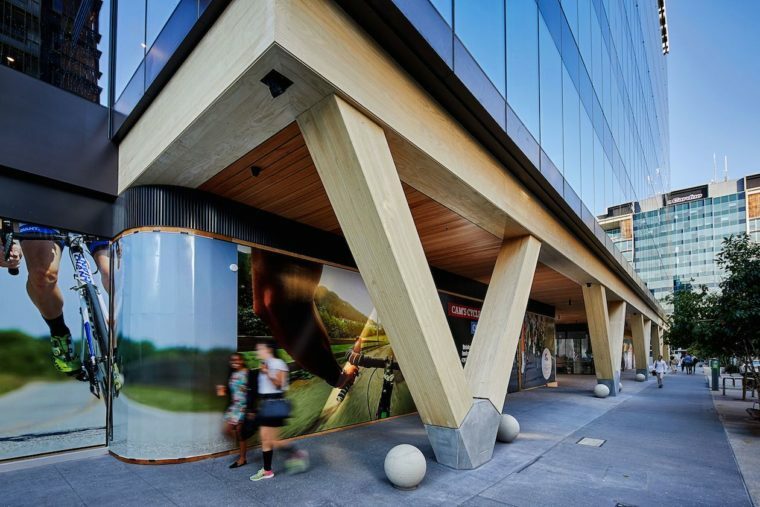 It’s also the way pre-formed timber buildings are constructed that makes them more sustainable, Lendlease building chief executive Dale Connor told The Fifth Estate back in May. The developer was aiming for carbon neutral through the construction phase of the building, he said. The building is also meant to be completely recyclable at end of life, according to Mr Connor. He also said that the pre-formed engineered timber construction was a “no waste” method, and that there is an energy saving of at least 40 per cent. 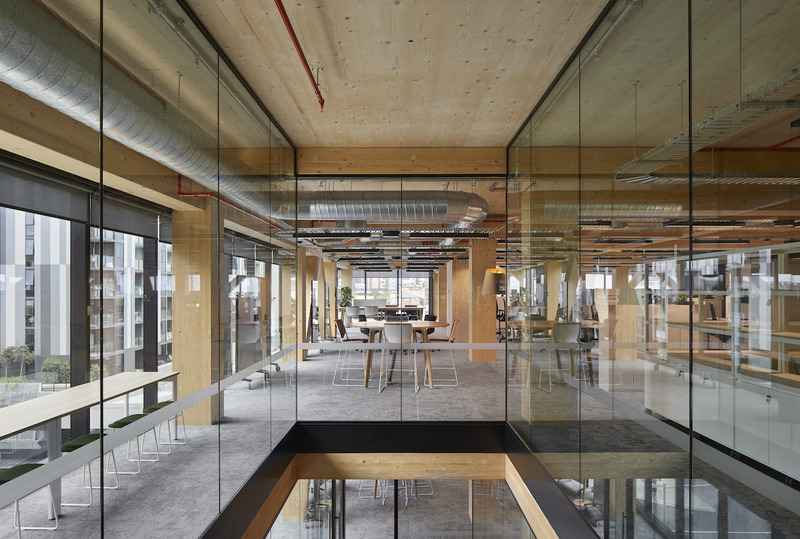 John Burton, Lendlease’s managing director of urban regeneration, said on Thursday that there is a strong link between the use of timber in the built environment and human health and wellbeing. 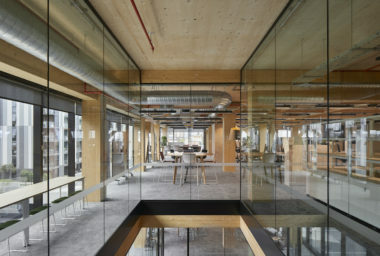 As such, much of the building’s timber structures are left exposed throughout the “open and flexible” office spaces for tenants to enjoy. “The building demonstrates greener and healthier ways of working. This creates a workplace that lives and breathes a culture of collaboration providing workers with a sense of belonging,” Mr Burton said. 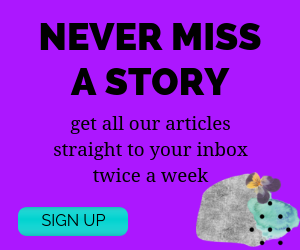 All eyes are on the timber construction industry at the moment with last week’s collapse of prefabrication and lightweight timber builder Strongbuild. The fall of the company is expected to trigger significant changes in the building and construction sector, according to some key commentators and experts.